In Italy, the trend for deaths from overdose (OD) has been in constant decline since 1997. Deaths from opiate overdose follow this trend, with 470 deaths in 1999, 280 in 2005 and 101 in 2015. The trend for opiate use, particularly heroin, is also declining, with a prevalence of 8.1 per 1000 in 2004 and 5.2 per 1000 in 2014. Nonetheless, 100 deaths a year continue to be an emergency. There are cities and regions that are more exposed and a slight increase in heroin use in the last two years, also among young people aged 15-19 years, has been noted. The prevention of deaths from opiate OD continues therefore to be a issue of extreme attention for addiction services, as is major attention towards new users and their patterns of drug use. From 1991 in Italy, the distribution of naloxone (Take Home Naloxone, THN) to people who use drugs (PWUDs) and their family and friendship networks, has been implemented. 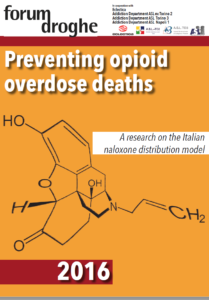 Today the OD prevention strategy- which in the Italian model is based mainly on the network of Harm Reduction (HR) services- is promoted alongside treatment with substitute drugs (OST), as far as OD prevention is concerned, with the aim of reducing risks. OST and THN are the two “pillars” for OD prevention and for prevention of death by opiate OD that characterize Italian policies. Within this framework, THN is inserted into public policy and in the interventions of public services and accredited private services, while the role of private sales and those from pharmacies remain residual. Factors facilitating this development of “public health “ with THN in Italy, are above all the regulatory framework which establishes that naloxone is an over-the-counter drug, accessible and able to be used by all citizens, at a modest cost (above all for public health), and the pharmacological characteristics of naloxone that make it a “safe” drug. The strong points in the Italian model of THN- which today is distributed from 57 HR services- are many: the enhancing of competencies and of the network of PWUDs. They are identified as those, who in the majority of cases assist in an OD and represent a strategic resource for first aid interventions; professional consultancy from HR staff, who accompany the consignment of naloxone with information and training interventions as well as specific advice on correct use; the assumption of a health promotion viewpoint, recognizing the intervention skills of non-health workers, with the possibility of widening and activating a broad network of diverse professions. 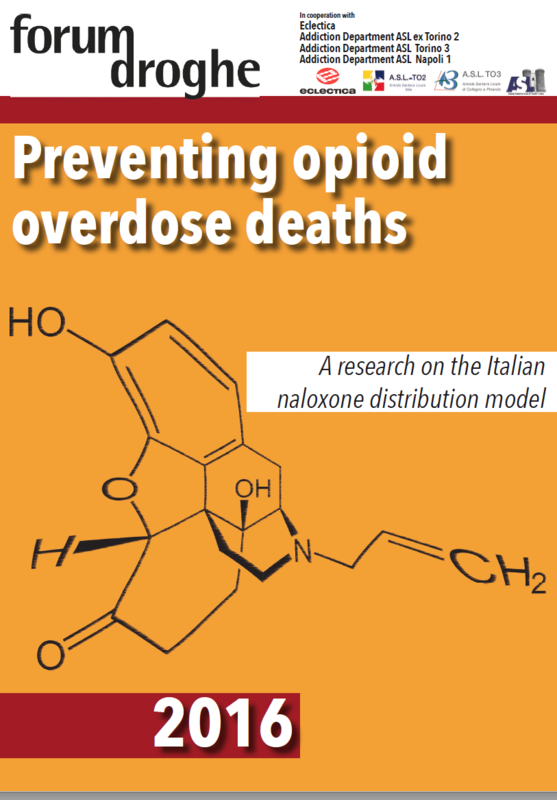 The Italian experience identifies how THN practices work together to increase awareness of risks, skills for intervention and self-efficacy among PWUDs, in a respectable process of social learning, and for PWUDs over the years, who have learnt to keep naloxone on them and use it in an emergency. The Italian model has also come up against some weak points, above all the limited coverage, on a national level, of HR interventions which for THN programs are strategic. There are regions which are completely uncovered. 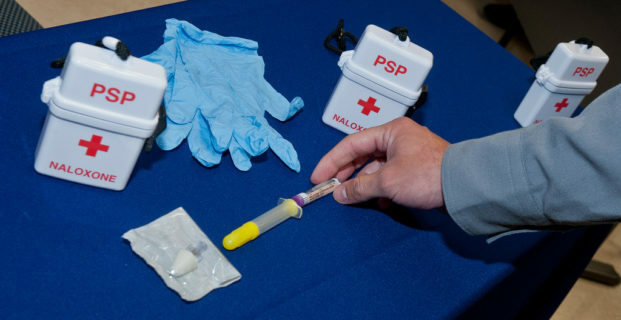 There is an underutilization of the treatment system as a potential network for THN as well as a lack of HR services that could efficiently integrate and enhance THN programs, such as drug consumption rooms (DCR) or drug-checking. There is also a total lack of HR interventions in prisons. The Italian model- described, analyzed and evaluated in this research by socio/health workers and PWUDs- highlights the success of THN, above all when it is centered on the PWUDs network. The basic lack of risks or side effects is testimony to its feasibility and sustainability. At the same time this study identifies challenges and necessary innovations for greater suitability and efficiency in the interventions. These challenges are valuable not only for the Italian model but can also be proposed as “lessons learnt”, which could be useful in different contexts. They renew specific objectives for the diverse areas involved: one area is implementation- with great diffusion of the THN network points; an improvement in the interventions in natural drug use settings and the ideation of innovative modes for communication and distribution, specifically regarding new targets (young poly-drug users above all, who have a very low perception of OD risk and few skills), plus accelerating the introduction of intranasal naloxone; multiplying the occasions for training of PWUDs and the support and incentives for peer support; the activation and synergy with new social actors and professionals on the ground and with other health services and addiction services, towards a continuum of interventions. A second area is policies, with a commitment to sustaining HR without ambiguity, as one of the pillars of the national drug strategies, providing clear guidelines and economic coverage; a third one, research, by improving the OD monitoring system, a more in-depth knowledge of drug use patterns, of consumer strategies, and the influences of contexts; monitoring and evaluating interventions, with the aim of promoting efficiency, efficacy and feasibility. An articulated and reasoned list of final recommendations is proposed as the basis for a national and international discussion and debate.